Vadim Software is a leading provider of innovative, integrated financial, municipal, asset and utility management software specifically designed for Municipalities, Local Governments and Utility Companies. Established in 1975 and serving more than 285 clients across North America, Vadim Software has been dedicated to this market for 39 years. Our philosophy is simple: partnership, service, quality and respect. Established in 1978, MuniWare has been proudly serving the Local Government sector for over 40 years. MuniWare develops, markets, and supports a comprehensive suite of financial and billing solutions, virtual town hall, and custom applications for small, mid-size, and large municipal clients in Canada. For a full listing of our solutions, please visit our website or give our office a call. 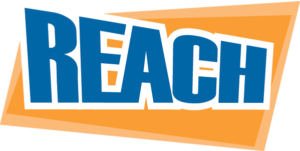 Based in Eden Prairie, Minnesota, REACH was established in 2005 and has grown rapidly since its inception. Operating over 2,500 digital solutions, our flexible, fast-growing network is located across the North America and United Kingdom. Connect, communicate and engage with your audience using our award-winning web-based software solution. Our software will power to all of your digital communication products through one easy-to-use platform. Our products include: digital signage, touchscreens, mobile apps, room schedulers, web calendars, and menu boards. ITI International Technology International Inc.
ITI International Technology Integration Inc. implements state-of-the-art Information Systems across all business and technical environments in both Government and the Private Sector. As a full-service IT solutions firm, ITI provides cutting-edge web-based applications, custom system development, website design and maintenance, web hosting–all with a level of personal service that is committed to building quality relationships.